No! We have a service agreement that is required prior to start of service. Service can be canceled at any time with a 45 day notice. Are you a Vacation Rental Company? No, we can provide several trusted and reliable online services for your vacation rental reservations. What does your cleaning fee include? Starter supply of amenities – this includes: 2 rolls of toilet paper per bathroom, 1 roll of paper towels, 1 bath soap and 1 shampoo per bathroom, 2 interior and exterior trash bags per trash can, travel size bottle of liquid dish soap, and 1 packet of dishwasher detergent per machine. Are your linens laundered in the property? No, we have an offsite commercial facility to process all the dirty linens. Can I use my linens? No. The cleaning fee includes the use of linens. Ultimately we don’t have the ability to accurately track your linens. Do you clean the hot tub after every stay? Yes, they are. Unless requested differently by the owner due to a well water issue. Hot tubs are tested & photographed during the inspection process. Am I required to have any cleaning products or equipment available for the cleaners? No, cleaners provide their own cleaning supplies for use in the properties. How often are comforters, blankets and shams laundered? It varies at the request of the owners, and additional charges will apply. Do you offer deep-cleaning services? Yes, we do! We encourage deep cleans twice a year around May and September. The fee structure is different for a deep clean, and we will be happy to give you an itemized list of services performed that is specific to your property along with the estimated cost. A deep-clean can be performed at any point during the year, but we do need extra time to complete one and prefer to do them during slower months. Are we notified when the property has been cleaned? 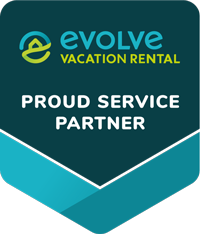 No, we utilize an industry leading vacation rental software to ensure your property is cleaned and inspected at the scheduled departure and arrival of each and every guest. All notifications and reporting functions happen internally. Will my vacation rental be cleaned the day of departure? Yes. However we will not guarantee that it will be cleaned the same day. There are always unforeseen circumstances which can arise that can cause a delay. How do I get my cleaning schedule to you? Simple… We will subscribe to your booking software’s calendar feed. Once we have the calendar feed we will schedule your inbound and outbound property needs. We schedule a pre-arrival inspection based on several factors: Availability, length of time between stays, and routing. During back-to-back reservations pre-arrival inspections are not guaranteed, and may occur before, and during the cleaning process. All of our staff is equipped with the leading vacation rental software that allows cleaners, inspectors, and maintenance personnel to quickly upload pictures and notes. Once uploaded our system immediately notifies us of the concern, and our service department will contact you. Who replaces batteries, light bulbs, HVAC filters, and shower liners? Our Inspectors will replace the items as needed during their routine inspections. Our maintenance staff is able to handle general property service such as, but not limited to: minor plumbing and electric, electronic device and hardware installation, painting, and general handyman needs. Do you offer after hours maintenance when an emergency arises? Yes, we will facilitate any major water, electrical, plumbing, or HVAC issues that arise. Issues that are not an absolute necessity to the guests stay will be handled during normal business hours. Do you replace items damaged if needed? Yes, at the request of the owner, we will replace damaged items. We do not markup any replacement items. You only pay for the part and labor. All repairs will be emailed with attached photos of the work needed and when completed. How often are smoke detectors and door lock batteries changed? They are changed as needed. Do you provide lawn care? Yes, we can provide lawn care services upon request. Will you be able to provide a heating or air conditioning unit in the event the HVAC system gives out during a guest stay? Yes, we do have mobile units that can be rented for an additional fee until the HVAC system is fixed. How do you handle cleaning, inspecting, or maintenance for the property during adverse winter weather? What if my guests are unable to vacate the cabin due to winter weather? Safety is our number one priority. We will make every attempt to service your property during adverse winter weather. However, if the road conditions become to dangerous we will reschedule service once they are clear. If your guest is not able to get out, we will reschedule service for the day your guest is able to safely leave. Are you able to provide a generator for my property in the event of a power outage during a guest stay? No, we are unable to provide backup power generators at this time.